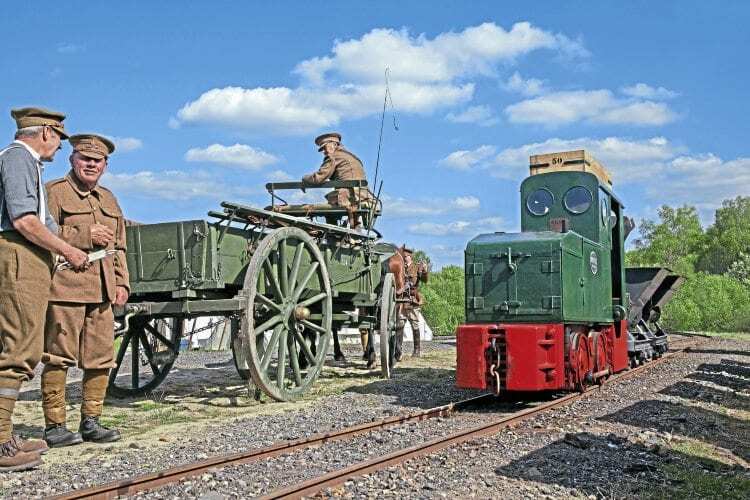 A host of events with railway connections are set to mark 100 years since the end of the First World War. Craig Amess reports. This year sees the centenary of the end of the First World War. Railways played a crucial and differing role in each of the two major global conflicts of the 20th century. Trench warfare was a prime strategy in the First World War, with narrow-gauge railways becoming one of the main methods for supplying the front line as horses and carts, and especially lorries, couldn’t negotiate the treacherous terrain. As a solution to supplying issues the British military adopted narrow-gauge railways in early 1916, the other combatants followed, and all used quickly laid 60cm gauge systems. During the Second World War, the British railway companies’ managements joined together, effectively creating one company that was responsible for the transportation of troops, goods and weapons, plus the evacuation of children from major cities. As the nature of warfare changed, such supply lines became the targets for aerial bombardment, with the Luftwaffe targeting lines, locomotives (painted black during the war) and trains. As men went off to fight, the burden of running the vital rail infrastructure increasingly fell to women. During the two world conflicts, war was fought on an industrial scale – mass graves, loved ones unidentifiable among the ruins of the conflict, be it on the battle front or home front. In honour of troops lost on the front line, a group launched the LMS-Patriot Project, with a vision to build a national memorial engine to remember them by. Members are planning a brand new ‘Patriot’ 4-6-0, as none of the type made it into preservation. This will be No. 45551 and named The Unknown Warrior. Entirely funded by donations, grants and sponsorship it is hoped the engine will be ready to run in 2019.